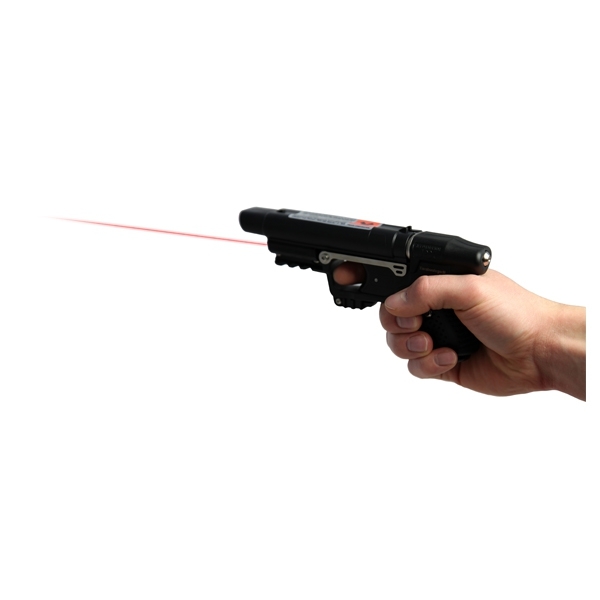 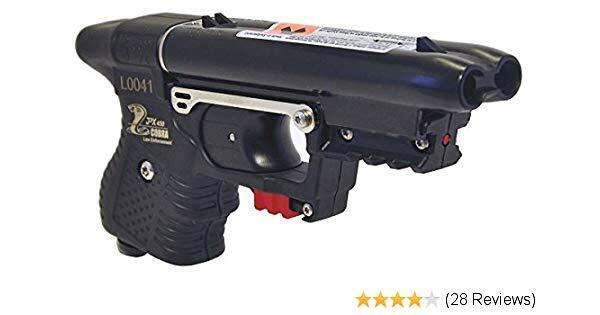 The Piexon JPX Jet Protector Pepper Gun is a reload-able high-tech OC delivery system. 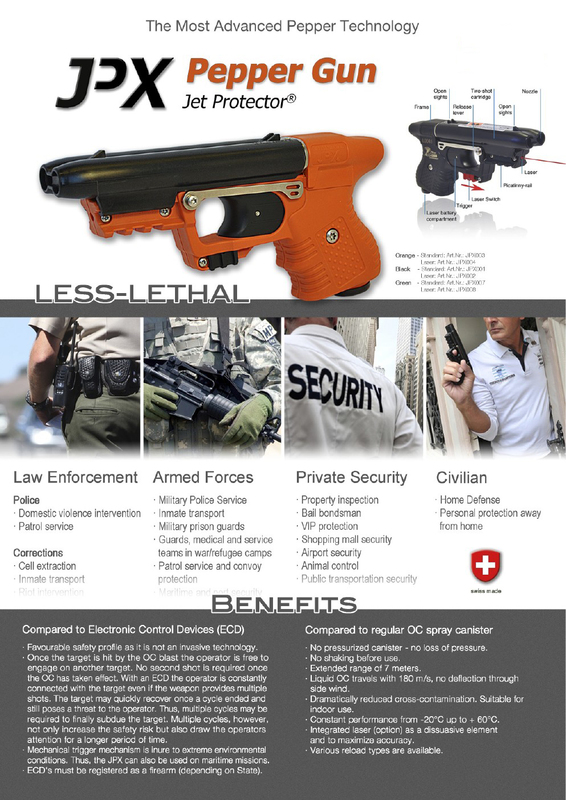 Each cartridge (two per magazine) fires exceptionally potent liquid OC at 395 mph with effective distance of 23 feet. 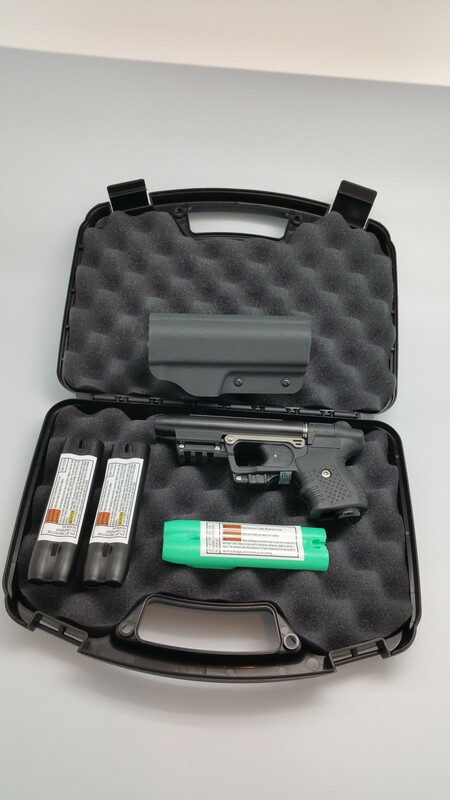 Holster (available but must be purchased separately) Black Kydex belt holster Warranty: One year operating mechanism, two year expiration from date of manufacture.